Got a new bag today! 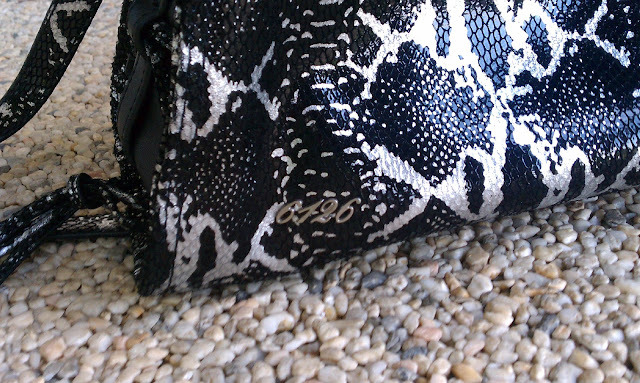 Its the Tempest large satchel bag in black by 6126 Lindsay Lohan from the Kitty with a Whip collection. 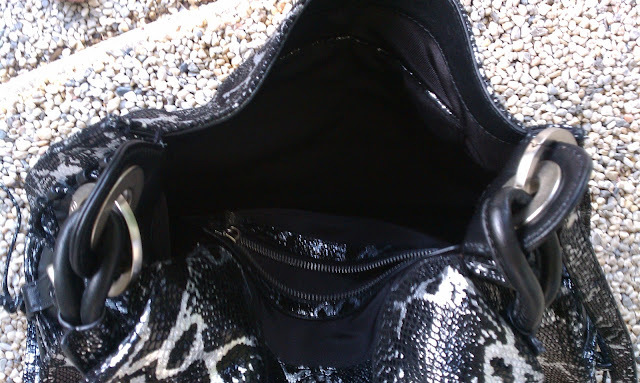 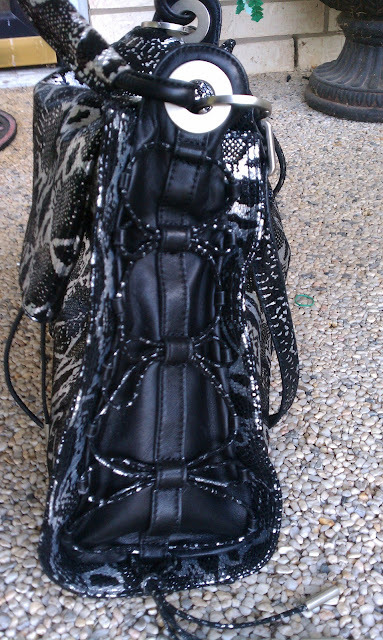 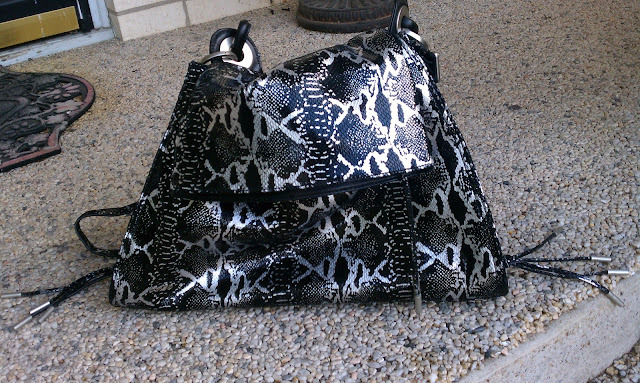 The bag features Printed snake with glazed overlay, Corsetted treatment accents on the sides of the bag, single handle, longer detachable, adjustable shoulder strap for a cross-body look, Flap closure with hidden zipper and second compartment, and a width of 17 inches and height of 12 inches. I'm in total LOVE with my new bag.